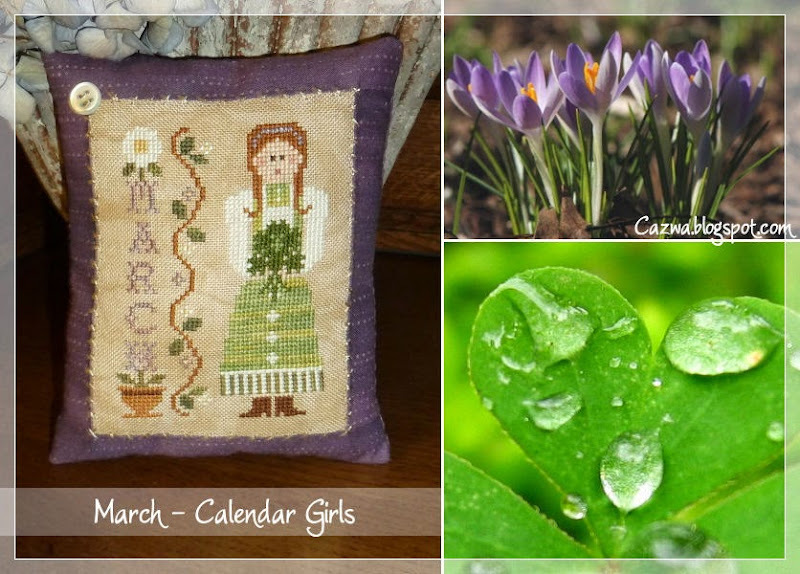 I finished my calendar girl of March. For her dress, the leaves and letters I used hand-dyed threads. Cute. I love those Calendar girls.